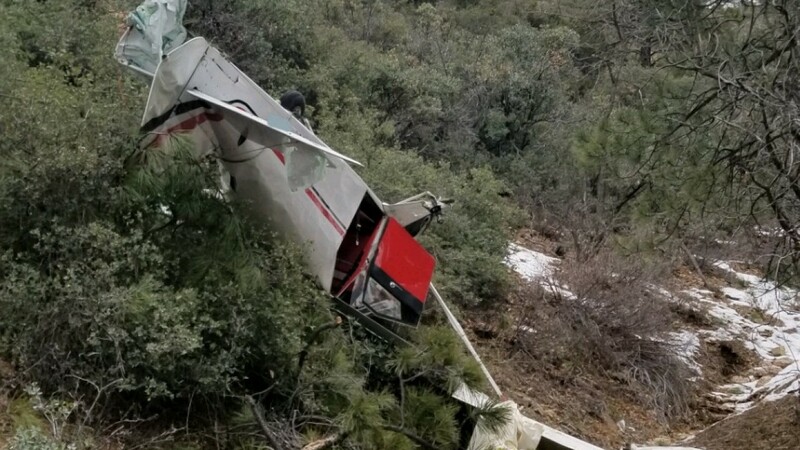 On January 13, 2019, about 1045 mountain standard time, a Piper PA22-160 airplane, N9227D, was substantially damaged when it impacted mountainous terrain in the Hualapai County Park, Hualapai, Arizona under unknown circumstances. The student pilot received serious injuries, and the owner/non-pilot rated passenger received fatal injuries. The airplane was operated as a Title 14 Code of Federal Regulations Part 91 personal flight. Unknown daylight meteorological conditions existed at the accident site about the time of the accident. No flight plan was filed for the flight, and no records of any pilot pre-flight briefing were discovered. The flight had reportedly originated from Kingman Airport (IGM), Kingman Arizona about 44 minutes prior to the accident. The accident site was located about 9.5 miles south-southeast of IGM. According to first responders, the pilot reported that the engine had lost power. No additional details were provided, and the pilot has refused to communicate with either NTSB or Federal Aviation Administration (FAA) investigators. According to the passenger's sister, the passenger had purchased the airplane for the pilot, and the airplane was kept in a rented hangar at Earnest A. Love Field (PRC), Prescott, Arizona. 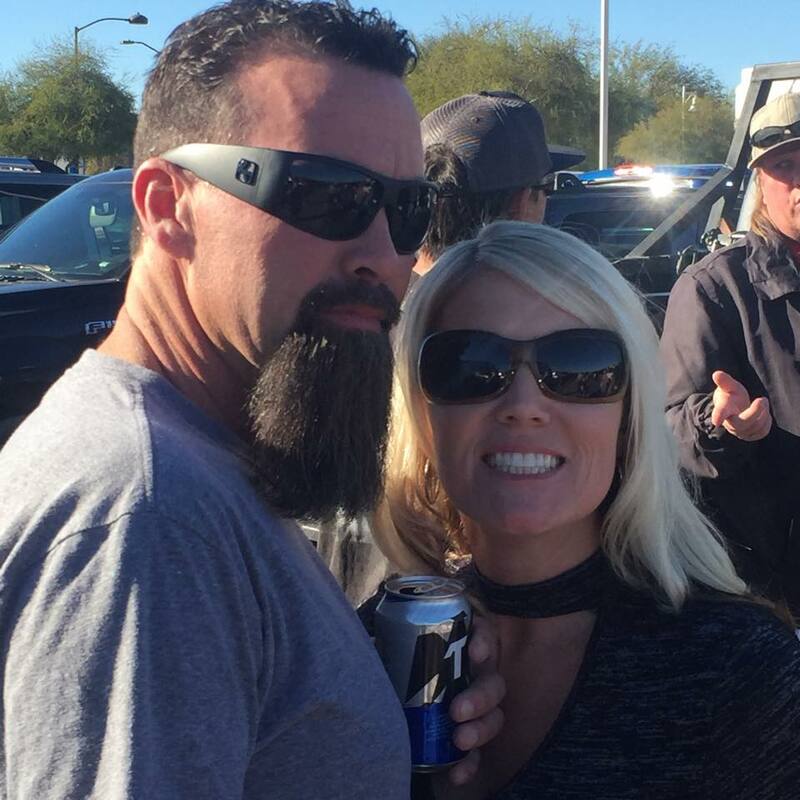 The pilot and passenger flew from PRC to Meadview, Arizona the day before the accident in order to attend a party. The next morning they flew from Meadview to IGM. The sister reported that the airplane was refueled at IGM, and that at 1001 she received a text from the passenger reporting that the two had taken off from IGM. The fueling records at IGM neither confirmed nor contradicted the sister's refueling account. FAA records indicated that the pilot had been issued a student pilot certificate in January 2014, and was never issued any other certificates. Despite multiple attempts, no pilot training records, flight experience logs, or airplane maintenance records were able to be located by investigators. FAA records indicated that the airplane was manufactured in 1958, and was equipped with a Lycoming O-320 series engine. The previous owner reported that he sold the airplane to the passenger in late November 2018. The 1051 IGM automated weather observation included winds from 010° at 4 knots, visibility 10 miles, clear skies, temperature 7° C, dew point -1° C, and an altimeter setting of 30.14 inches of mercury. The Mohave County Sheriff’s Office is continuing an investigation into a plane crash that occurred on January 13, 2019 at approximately 11:45 AM in the Hualapai Mountain Park near Kingman. The plane was occupied by two subjects, a male and female. 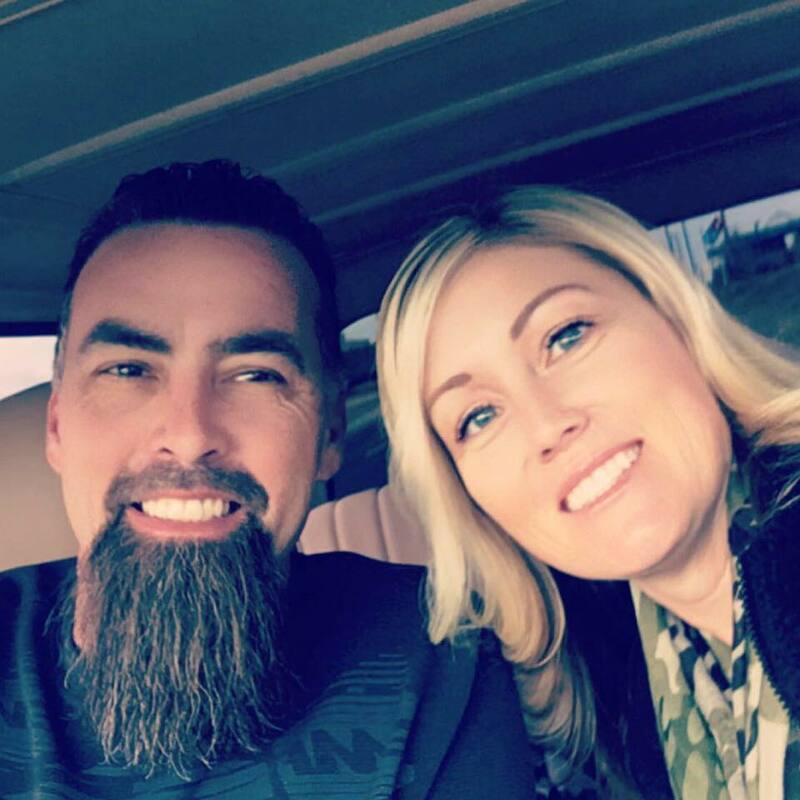 The female subject, identified as Heidi Sue Dowland, 38 of Prescott Valley, was found deceased on scene. The male subject, identified as Christopher Adam Anderson, 43 of Prescott Valley, was transported to Kingman Regional Medical Center in serious condition. He was later transported to a Las Vegas hospital and is in critical condition. Federal Aviation Administration and National Transportation Safety Board were notified and are conducting the investigation as to the cause of the crash. If it turns out he didn't have a pilot license and he killed his passenger, he's screwed. Wonder if they'll find THC in his body? You have to play by the rules. PP-SEL-MEL-Instrument - 2500 hours (and STILL Learning)! Very Sad and I Wish Condolences to all the Family, friends and all that knew them. THC? Much more different chemicals in Pilots systems than that these days. In April 2018, Cocaine in a student pilot - Pedroza's system left seat piloting 5 Pax and a ATP rated pilot in right seat with 3 hours in type (Comanche N9456P)! Scary. First off thanks to the NTSB and FAA who are working yet not getting paid. Keeping Aviation and Transportation safe is a thankless task sadly. Secondly if that "pilot" indeed was flying PAX within 2 weeks, several dangerous attitudes come to play i.e invulnerability and macho. I have 500 hrs, CPL MEL and studying to be a flight instructor. I just recently purchased a taildragger (Taylorfcraft) and told the owner I will take it super slow and several months before I even fly it back solo from its home airport back to my hangar. And months before I fly any PAX with me. It only takes that one time in Aviation... just that one time. Student pilot with a PAX onboard???? He is screwed. Not only jail time if he survives but he can kiss his income and assets for the rest of his life bye bye after all the liability lawsuits are settled. The insurance on the plane, assuming he had one, will be disqualified. This is one case where egregious disregard for human life like these warrant the stiffest of penalties. He basically murdered that woman. Not murder. No jail time. The only one scr... Uh, receiving the short end of the stick, is the the deceased. Was she the 'owner' of the plane? There was concern about the student pilot carrying passengers in late 2015, but no one would provide details. Just look at that manly beard though. With that coolness he shouldn't have to follow or abide by all the silly reg's we mortal pilots have to. RIP to the innocent woman who didn't deserve this. So So Sad. This guy is in Deep! I sure hope he survives. Where did the possibility of THC come from ? It amazes me how many pilots both young and old refuse to follow the rules when it comes to piloting. Whether flying with expired or lacking credentials, drugs & alcohol in their system, flying an aircraft out of annual or with auto gas without an STC. The list goes on & on taking innocent lives with them sometimes. Let's hope that he had his private pilot license and the FAA just hasn't updated their site otherwise it just looks bad for general aviation overall when you don't do what is required of you. RIP passenger. R.I.P. ..... prayers abound from our home to your family. Actually the FAA registry says Dowland owned it but the PO Box points to Anderson's business. "Where did the possibility of THC come from ?" I don't see any tattoos so it must be the beard. some should really watch their language. - even the basic - facts, are similar to VFR flight proceedings in IFR conditions. Gladly there are profesional authorities investigating those tragedies. Conclusions and if so, judgements will be developed by them after gathering the facts. And a beart, manly or not, is definitely none of some peoples business. Simply take care of yor own hair. Did`nt anyone noticed the FAA data record of the student license? It`s from 1/8/2014. Not even worth assumptions. As of 2-6-19 the FAA pilot database still lists Mr. Anderson as a "student pilot" and as such not allowed to carry passengers. Just stating the facts and if by chance he has obtained his private pilot license but the FAA is slow to update their records then I apologize. RIP to the deceased passenger. If Dowland owned the plane how do we know that he was the PIC? If she owned the plane she probably had a license. I mostly come here to see the crotch shots in the ads, but sometimes respond to the urge to comment. This clown's ugly beard should be considered to be a tertiary cause of accident. That much hair may have flown into his eye(s) and caused a momentary distraction. I await a more politically corrected, and astute analysis. "If Dowland owned the plane how do we know that he was the PIC? If she owned the plane she probably had a license. Thursday, February 7, 2019 at 9:00:00 PM EST"
Dowland does not show us as a pilot in FAA Airmen Inquiry. "Dowland does not show us as a pilot in FAA Airmen Inquiry." Doesn't mean anything. I fly with captains that are not visible either. is sad to see so many private pilots killing themselves and others in USA due, mainly, lack of FAA supervision. same as the so many gun victims. both policies, about free-uncontrolled-guns and free-uncontrolled-flying, ought to be changed. You're calling on the arsonists to put out the fire? "mainly, lack of FAA supervision. same as the so many gun victims. both policies, about free-uncontrolled-guns and free-uncontrolled-flying, ought to be changed". To this poster, you are obviously not a pilot or gun owner. It's not the airplane or gun that kills, it's the person behind the controls or the trigger. When I got my 1st handgun, I told myself to treat it as you would flying an aircraft. First become knowledgeable about its operation and limitations and respect it as having the ability of killing you or someone else if handled carelessly, in the wrong frame of mind or while intoxicated. Guns and airplanes are a privilege and with that comes great responsibility. I do not want to live in a world where "others" dictate what I can do, when I can do it and if "they" deem it acceptable. We do not need more FAA oversight, we need more self-regulation and use of common sense. It's a shame this happend young woman had her entire life ahead of her. I'm sure he feels bad about what happend I know I would. Can't really come to a conclusion yet until the NTSB report is put up on their website. He could have gotten his PPL a week ago just not updated. No toxicology report? I always thought that was automatic when a fatality is involved. After reading the official NTSB report is all I need or care to know about this guy. What a shame! Yup, knew there had to be more shade in this guys background more than we know now or probably will ever know still. Refused a background check for a reason, more back there for sure. We don't need no stinking rules. This is unfortunate that the deceased individual chose to purchase an aircraft for and then ride in as a passenger with someone that clearly wasn't a good pilot (for many, and obvious - it seems) reasons. Now there's three kids without a mother. A little knowledge is indeed a dangerous thing. Both of these beautiful women were killed at the hands of their monster/jerk spouses/partners. For less than a $15 a simple background check would have set the alarm bells ringing *dangerous* person, proceed with caution. And in some areas of US the police department will assist you with a background check of someone you meet before dating seriously. Makes you wonder if Dowland bought the plane because Chris Anderson couldn't be tied to the purchase work for some reason. She wasn't a pilot, did he encourage here to buy it with his money? It will be interesting to learn more about him and his "past". Throw the book at him. Manslaughter or 2nd degree murder. Oh and ban him from ever flying again but hopefully the injuries he did to himself will prevent that from ever happening. And make sure he pays millions in damages to the children of the woman he murdered.. or at least that his wages are garnished to the end of his Life for it. A little hottie choosing to be with a Badboy. Cost her life. Shame. If this guy had followed the rules (which are set for good reasons) perhaps this wouldn't have happened either, but he didn't and it did! Looks like they both made bad choices. Very very sad! What is the lastest on Chris ...... is he still hospitalized? Has he be talking to police or NTSB? How many pax died at the hands of unqualified, illegal, drugged up or unscrupulous "pilots"? 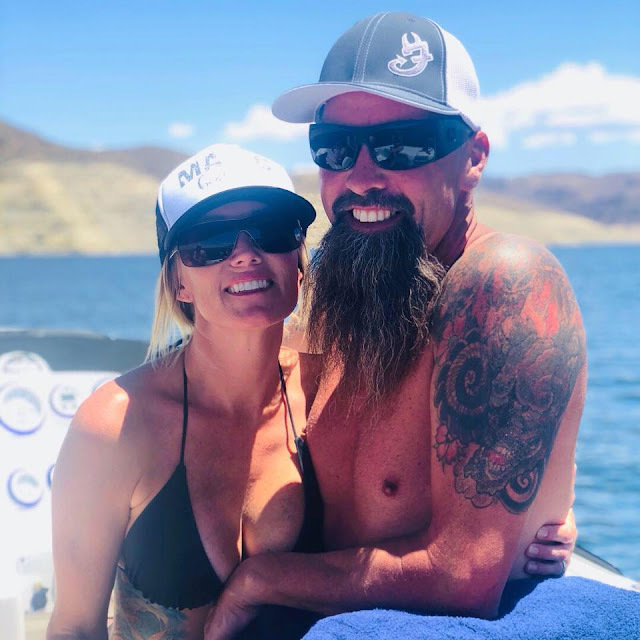 I wonder if Heidi even knew the qualification of Mr bad boy big beard here? He just told her he was a "pilot" and she believed him. The FAA or FAASafety should definitely reach out to the general population and conduct experiments where a hobo off the street is dressed as a pilot or put next to a plane and asks people to come with him for a ride. Me suspect a large majority of wannabe PAX won't ask questions or as much as want to see an ID and valid pilots's license, and board with basically someone who will kill them.